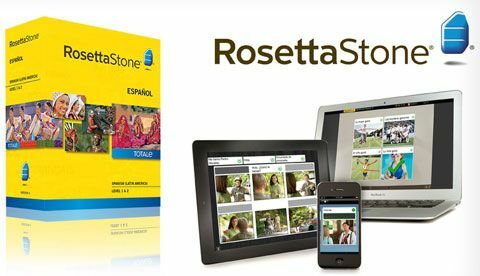 Learn a language naturally with Dynamic Immersion – The Rosetta Stone language program aims to make learning easier and more effective by scrapping dense explanations in favor of a visual teaching style featuring pictures, audio and text. 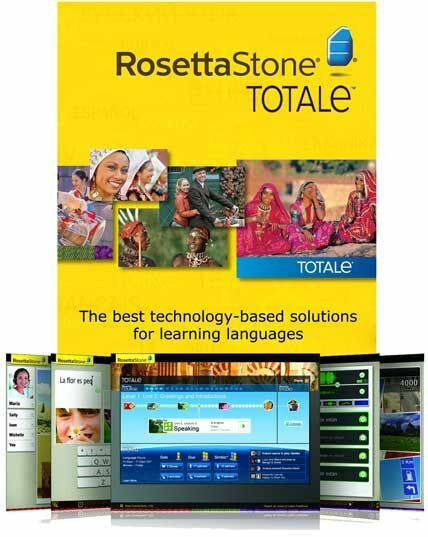 Created by Fairfield Language Technologies in 1992, Rosetta Stone has been adopted by West Point, NASA and over 10,000 schools, according to the company. The product’s teaching method attempts to emulate the experience of a native-born speaker by immersing you in one of 29 languages using photos, spoken phrases and written words. We approach language learning the same way that you first learned a language – using a natural method that teaches new language directly, without translation. That means no more confusing grammar explanations or mind-numbing vocabulary lists to memorize. 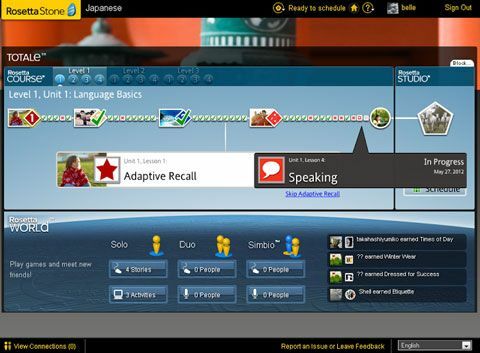 As the leading language-learning software in the world, Rosetta Stone makes learning a new language second nature. Millions of learners in more than 150 countries have already used our software to gain the confidence that comes with truly knowing a new language. We’re continually improving our software technology and adding new products. With Rosetta Stone at the helm, the future of language learning is very bright indeed. 143 Responses to this entry. You’ve left me speechless in any language… Thanks Max you did it again…. Thank you Max for all your hard work! Thank you very much Max. This is really awesome! no thank you very much!! so great!!! all languages but no Tagalog…. fabulous! love the latest program update! Thank you for all ur hard work!!!!!! Sweet! If any one gets this message:Error 1141 means a service which runs with Rosetta Stone TOTALe has stopped. Just restart your computer and all will be ok.
It’s without any shadow of doubt the fastest and most reliable server you have ever had. Thank you very much aking lalaki Max…I did unit 1..
info says that only limited used wil be on if you Skip validation?! Thank you very much maxdugan ! Max i have download the Pashtoo language but it didn’t upload it, the message appear please insert the cd room. i also downloaded the british language and its work great. please get me rid of it. Max i am using daemon tool to mount the image. as i told you i have did the same with british it goes well but create hurdle with pashtoo..
My question is once this has been successfully installed can I use the program while i’m connected to the net or must I only use it while NOT connected to the internet? Great program. Would you by any chance have the activation codes for the different languages? I Finished Level 1 And 2 In Hindi Language. But In Level 3 It Ask Me The Product Activation Key For Level 3 And 4 ? What Is Key Or How To Bypass This Message. SO WHAT TO DO NOW MAX? FOR THE UPDATE VERSION DO WE NEED TO DOWNLOAD ALL AGAIN? First Thing Is New Update Is For Setup File Only. Not For Language Packs. So You Need To Download These Language Files. In Hindi Language. Ask Me The Product Activation Key ? My fiber optic 100mbps will be tested with this. thanks a million Max, I will be saying Merci beaucoup soon??? I uninstalled it three times and reinstalled– same message. I unpacked with Winzip and Level 2 part 2 has no .iso image (although the size of the zip file is correct), I only get a link back to your site. I also have MagicISO to mount, but, of course, it does me no good. Any suggestions? Thanks. I thought we weren’t supposed to use WinRar? Max, I got it to work. The problem was my ZoneAlarm firewall. I uninstalled it and am using the Windows firewall now. So others that have that problem may have to check their firewall if it is other than the Windows firefall. Also, check in services that Rosetta Stone is set to Automatic and is running. Is the language pack is same compared to the earlier versions? or the language pack also is changed? These language programs are great. Thanks so much! I am using German and Korean without a hitch. However, I am trying to download American English and I get an error message trying to unstuff Lv 1 parts 2 and 3. I am using stuffit. The message is “A failure has occurred. The structure of the archive is damaged.” Any hints? Thanks Max! Unrarx did the trick. Your site is amazing! I have daemon tool installed and the Spanish LA mounted. However when I start Rosetta Stone it does not recognize a language to select in the drop down. Can anyone advise on what I might be doing wrong? I can’t download Russian Level 3 Part 2&3. Is the rarefile server down or something? Thanks for your fast response. I can download those parts now. i downloaded thai language pack… but there is “only” level 1…. do you have level 2 ? Thanks, MaxD! Am trying to brush up my Chinese and Spanish and maybe, French… Hsieh-hsieh, gracias et merci! hello Max and thank you very much for this. This is easily the best language learning program out. How do we get past the activation process after completing levels 1 and 2? Thanks again! Max, this is just what I wanted. 2 of them for my job career(I Have to Learn It) and other 3 just for basic learning. The problem is my net speed. but I will download it it in a few days. Thank you very much Max. Hi Max. 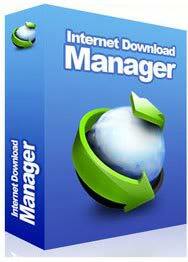 How do i download this? do i need to download/extract/install the main program first? then download and extract, for example, French 1, 2, 3, 4, 5 plus the audio companions if i wanted only French language? Does anyone know how to fix this please? However, I have a problem in opening any language. It does open, however only the first 2 levels are allowed to pass, others are closed unless activated. Do I do something wrong or is it their new update to decrease hacking? Please, help. nice one maw, week done with all the hard work.thanks. thanks for such an amazing contribution… but i a have a question.. don’t you have an android version.?? thanks max for such a quick response.. but where is the link to the file.. or where did you post it.?! Can anyone post the activation Codes for the Languages please!!!! the link for the arabic language is unavailable. Please re-upload the main program and Arabic language, if there is Egyptian Arabic kindly please upload it. Hello, and a warm friendly hug to you! I have not been able to figure out how to use the Audio Companions. Do they have something to do with the main program? Thank you, and have a very good day, dear Sir Max!! Thanks so much for these, dear Sir Max! You are certainly the best! Ok, thank you so very much!! thanks sir max… its very useful and fun! Thnx Max! Can you help me? Where I put the audio companion folder? I can’t seem to get the language pack to run, I try copying it to the install folder and it won’t start. Do I need to burn it to cd or mount it to an ISO on my hard drive? I can’t seem to get the language pack to run, it keeps coming up looking for cd . Man, i downloaded when was 3.7 version… May Works? With New version program? Sorry. My bad. Hi Max, could you please find Rosetta Language Welsh? I need to learn this language quite quickly. Thank you. Is there any chance of this Max? I’ve seen on RS Home that Filipino/Tagalog has 5 Levels. This posting here only gives me level 1 and 2 that I’ve leaned already from your version 3 older posting. How could I get at least Level 3 to show off to my 21 nieces in the Pang province? thank you very much sir max… you are a big help to eveyone like me! The best teaching method for any language on the market today..
You wouldn’t happen to have an Indonesian language pack for Rosetta Stone would you? do you have the thai language pack? I’m here for the first time I was lead here via a youtube link. I really don’t know what to download. Interested in Spanish, German and French. Please help a newcomer with some guidance.